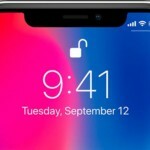 A recent study carried out by a VPN comparison service Top10VPN.com has revealed that other than banking and financial service IDs, a hacked Apple account is the most valuable single account being traded by criminals (via ComputerWorld). The study reviewed thousands of listings on popular dark web markets Dream, Point and Wall Street Market. To put things into perspective, hacked online bank details are being traded by hackers at an average price of $160, PayPal logins around $250, and passport details at $60. Meanwhile, Amazon, Skype and Walmart accounts are selling for less than $10, eBay accounts for $12, and Uber logins for $7 on average. Whereas compromised iCloud accounts are being sold for $15 or more. The high price of an Apple ID reflects the value of associated data in iCloud, as well as the attachment of payment details to these accounts. “A hacked Airbnb account, for example, could allow a scammer to pocket hundreds in booking fees or even stay at high-end properties as a guest and burglarize the hosts. At less than $8 initial outlay, that’s very appealing to a cyber criminal,” Migliano said. Apple is now introducing new privacy protection and anti-phishing tools in iOS 11.3 and macOS 10.13.4, that will warn users when they find themselves entering confidential data on fake websites.